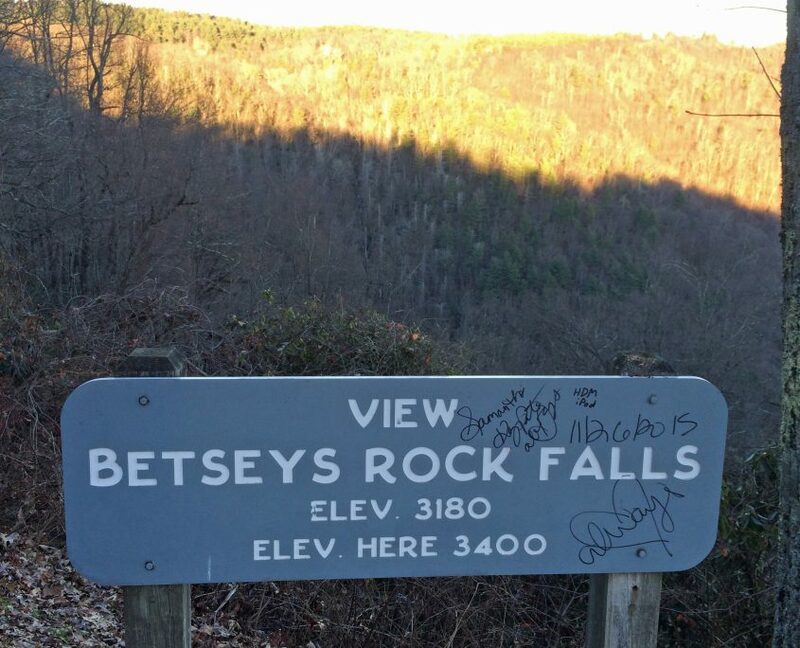 Betsey's Rock Falls | Protecting the Blue Ridge Parkway in N.C.
CTNC purchased a conservation easement to protect the water quality of streams forming the North Prong Lewis Fork, including the 240-foot Betsey’s Rock Falls. The property is visible from the Betsey’s Rock Falls Overlook at Blue Ridge Parkway milepost 267.8. The dramatic waterfall is named after Betsey Pierce, a mother of two, who lived on the property growing and selling ginseng and other herbs during the Civil War.